English furniture antiques are my passion. As years go by their refined, warm wax finishing adds to their dignity and elegance. 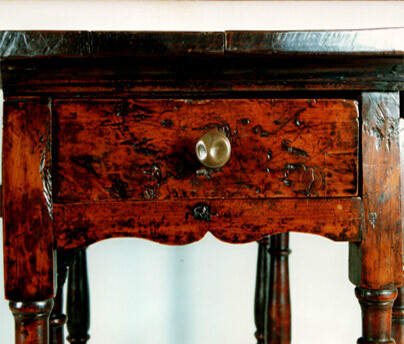 It is part of the English tradition not to regard any signs of wear and tear as damage but as characteristic features of each individual item. English and the Continental furniture are not at all similar, they vary in style and material and above all in the way they are made to the final finishing. Schooled and trained at West Dean College in the U.K., I look forward to accepting any conservation/restoration work from lovers of English antique furniture at home on the Continent. I am also very keen on working on Baroque furniture not only because of the voluptuousness and joie vivre they convey but also because you are faced with so many unexpected combinations of traditional materials and constructions, a true challenge to the full range of artisanship of any conservator/restorer.